Thank you so much for your positive feedback on Tonkatsu Bento, which was my very first bento on Bento Series. Today I’m back with my next bento, Gyoza Bento. I often hear from readers that children love all kinds of dumplings and that is also true for my children. 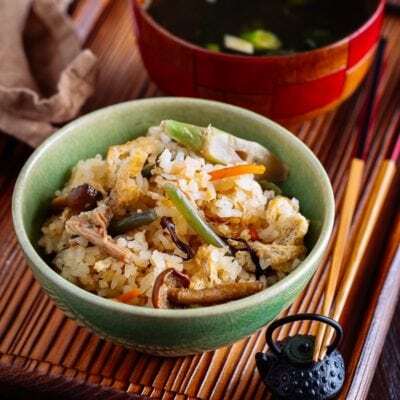 If I pack all kinds of nutritious ingredients inside of Gyoza hidden inside the wrap, they finish everything without hesitation – even ones that they resist to eat when they see the actual ingredient, such as green onion and other vegetables. Homemade gyoza looks difficult to make, but the truth is once you know how to wrap it’s really easy to make. Make the filling, wrap with gyoza wrappers, and pan fry them! But I know, it’s a little tedious until you get used to it. But don’t be intimidated – you can buy this helpful Gyoza Maker Mold online. Place a gyoza wrapper on this tool, put the filling, and press, then it’s nicely sealed! If you still don’t want to go through “homemade” hussle, then buy frozen pre-made gyoza, like ones from Trader Joe’s. Whether gyoza is homemade or not, your Gyoza Bento have lots of LOVE from you! Now let’s get started! A small size box of fruits: strawberries and blueberries. 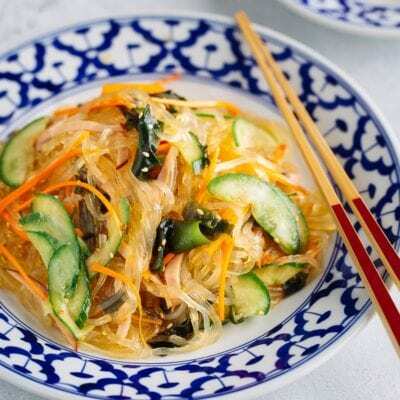 Here’s the recipe for Chikuwa Cucumber. Lunch bento box with Gyoza, tomato, brocolli, Tamagoyaki, Chikuwa cucumber, and Furikake rice. 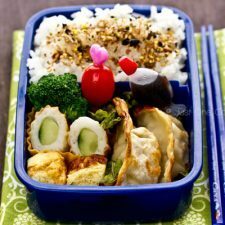 Healthy and Yummy Japanese lunchbox! Fill up half of bento box with Japanese rice. Let it cool so that hot/warm rice will not warm up other cool food. Pan fry leftover gyoza or bake in a toaster oven until it's warm. Pack soy sauce in a sauce container (I bought in local Daiso. Check Amazon). Wash tomatoes and lettuce, and pat dry. 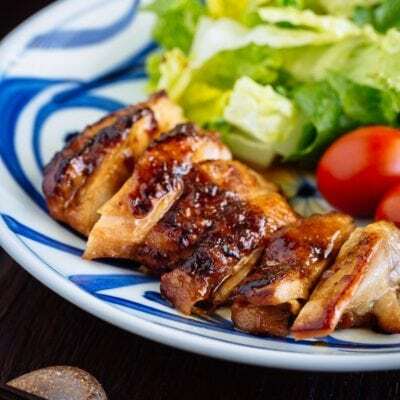 Place nicely in the bento box along with broccoli. Pack cooled gyoza, Tamagoyaki and Chikuwa Cucumber. Sprinkle Furikake on top of slightly cooled rice. Broccoli: How to freeze food for Bento, click here. * Cook broccoli florets in microwave: Put 1-2 broccoli florets in a small microwave-safe bowl/container. Fill with water and cover with plastic wrap. Microwave for a minute or so until it's a little bit soft (or you can blanch it as well). Drain well and let it cool. If you are using a thermal bento box like Thermos, you do not need to cool down before closing lunch box. 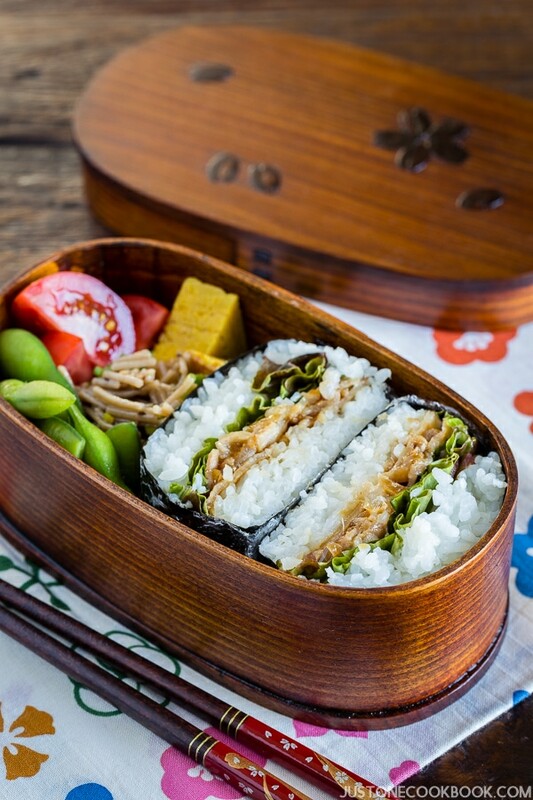 I love this bento… it looks so delicious I would like to bring it with me to work for lunch! And I like a lot the little soya container, so sweet. I’ve made your Gyoza some months back not realising that I have bought and used the wrong wrapper!! Got to make this again! Oh, I saw something new to me here…..Chikuwa Cucumber. The Chikuwa sold here in the supermarket is small and short. I don’t know why anyone WOULDN’T like dumplings! Bentos are edible works of art! 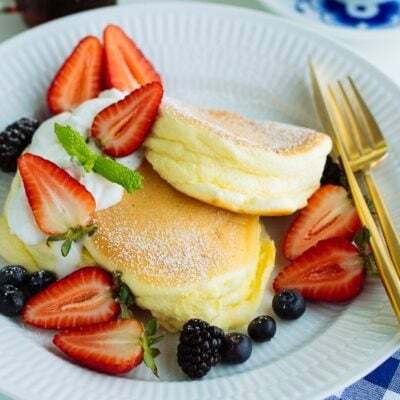 Gyoza is similar to Brazilian Pastel, and I have recently made “pastel” myself and used one of these gadgets that worked really well! Your photos are always a feast for the eyes! Wonderful post! Another beautiful bento! I wish my lunches had been this exciting when I was growing up (or even when I had a 9-5 and packed my own). Oh Nami I;m crazy about your bento posts my friend, this is just amazing, fantastic! Thank you so much my friend, sincerely, you are an inspiration for me. Looks wonderful Nami! How cute is that fish container too!? Adorable! I’ve never thought to put safety guidelines on my lunch posts, but that’s a great idea! I might have to add some so people know how to prepare and store the lunches. Thanks! Have a great weekend. I really salute moms who put in so much effort to make these bentos for their children! 🙂 gyozas are great and definitely kid friendly, maybe one day i wil try to make it, after i have managed to find the gyoza mould ! Oh Nami I would love to have one of those bentos for today’s lunch! You are right about Gyoza, Jon and Trinity would eat them up no matter what’s in the stuffing! 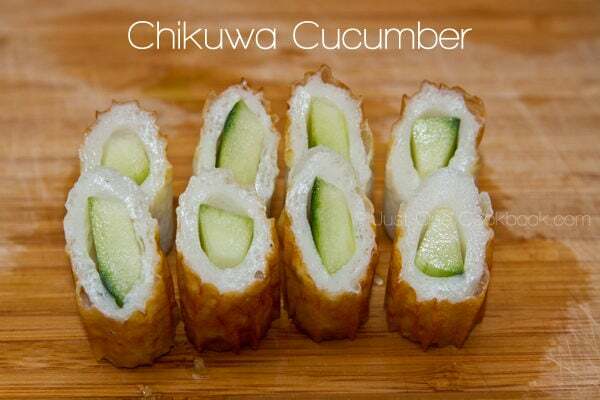 I have never seen Chikuwa with cucumber stuffed in the center before, what a great idea! Gotta do that as a side dish real soon! I still can’t believe you make extra food to pack bento, that little tomato with the heart says a lot! What are y’all doing this weekend? It’s free museum day tomorrow at Houston, so I am hoping to see a few art museums. The science museum was a nut house the last time we went on free day, fine art was nice and quiet, so was the Menile Collection (The one where some prankster de-faced a Picasso recently). Hope you have a good one! So that’s how chikuwa cucumber is made. I always wondered..
I’m so jealous of your sons’ amazing lunches. 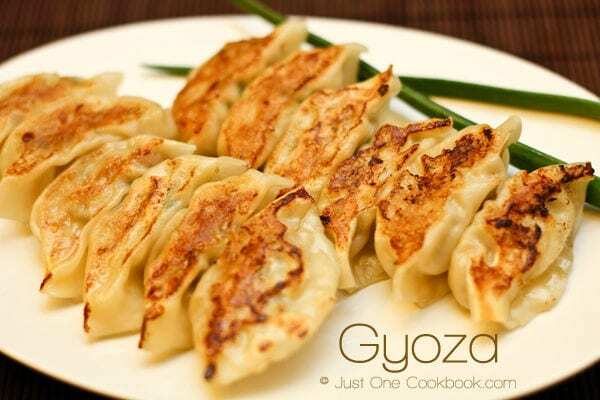 I love gyoza and I have your recipe saved so I can try them soon. I bet it makes him so happy to open that at lunch time and know you cared so much to make it for him. Have a great weekend. 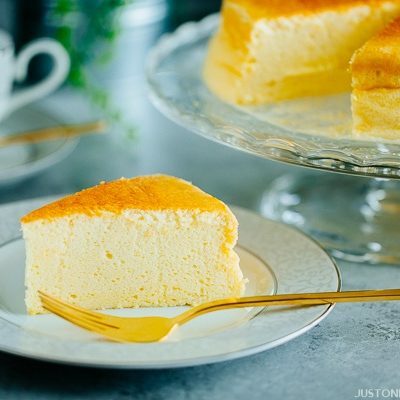 I love your ‘step by step’ process for your recipes and posts. So helpful. Even if I don’t have kids at home anymore, I still pack a lunchbox now and then for myself or my husband. And if not, I’ll still make this recipe because we just love Gyoza anytime. Thanks for the inspiration, Nami! I love gyoza – I’d love this for lunch! I love gyoza, this is a great bento box! I need to try Trader Joe’s version too! 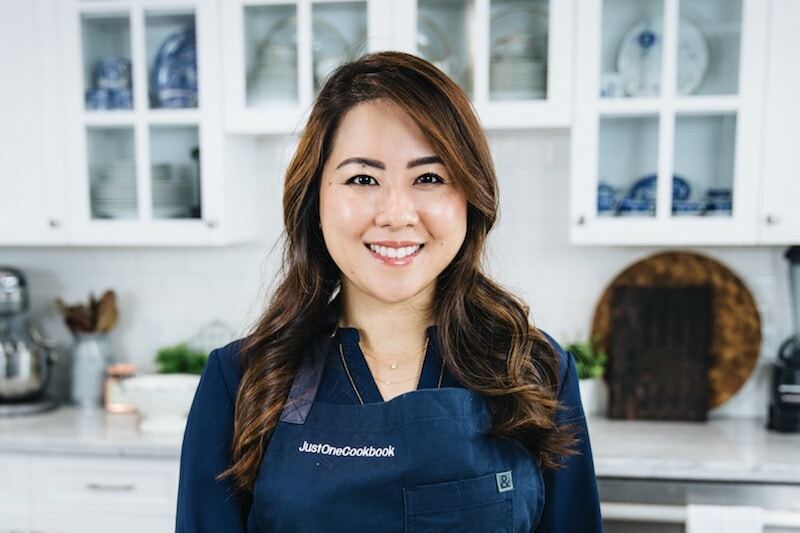 You inspire me to make Asian food! And gyoza has been on my bucket list for so long! I think I’ll finally have to tackle this ASAP! Great recipe on hjow to make this delicious dumpling! I love gyoza especially when dipped into light red vinegar with a few fine slivers of fresh ginger. I think your kids’ lunchboxes will be the envy of all their school friiends! I dont mind have your Bento Box for my lunch, everything looks very tasty and pretty-)) A little container with soy sauce, how cute is that-)) Thank you Nami!!! Ohhhh, I love gyoza!! Why can’t I have a bento like this?! Looks like my first comment disappeared. This lunch looks like it took hours to put together and it’s so creative. Your son must be thrilled! i just love the bento series! this is a wonderful lunch! 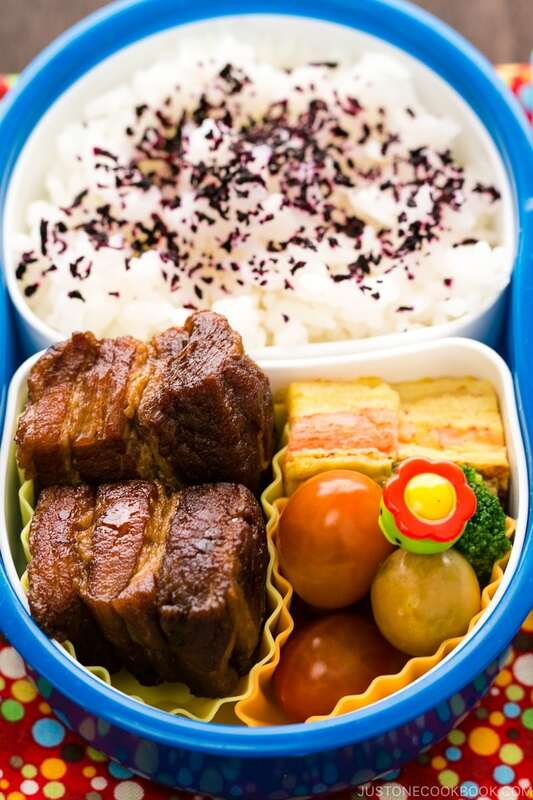 Not only children will enjoy this bento, I would love to bring it along with me to work as well:D Looks really inviting and yummy! Everything looks so delicious in that bento! I am so happy you set up a new page for only Bento, yahoo! i can go there to get bento ideas! Never had chikuwa cucumber, will hop over to find out the recipe. Happy Weekend Nami. Well, being pretty taken in by gyoza since ‘it’ and I made acquaintance, this is more than a delightful bento box: could I be a genie, blink an eye, and have you make another one for my worktable each day also? [Oh? :(! OK!] Absolutely beautiful, Nami!! Nami, I actually made Gyozo once, I loved them so much but it was a lot of work (even if it was totally worth it) just because I am nowhere as efficient at the “folding” as I am, practice, practice, practice, you say, and I know and you are right…you make it look like fun and I will try again, maybe I will become more efficient this time around! Having said that, your bento looks so utterly amazing, I am a little speechless at all the effort you put into preparing your son`s lunch! Fantastic! Your bento posts will be my joyful accents of every week! Bentos, and especially yours, look so joyful and mood-improving! I love gyoza and I wonder why I have never thought of taking them into my lunch box… I know: I always prepare the whole package and we both love them so much… we rarely have leftovers for the following day 😉 I will make a double portion next time! Of course my gyoza, even when made with the dumpling tool, don’t look half as good as yours. 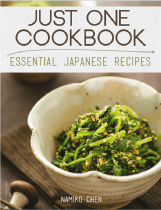 I’m heading off to see the chikuwa cucumber recipe. It looks so mysterious and so typically Japanese! Another awesome Bento Nami! Beautiful… and that gyoza! YUM!!!! Have a great weekend! HUGS! I love the trader joes pre-made ones, but home made is best. My husband first introduced these to me as ‘Mandu’, the Korean name. His parents had a good friend from Korea when he was growing up and she would make them for him all the time. Your kids are lucky 🙂 Have a wonderful weekend. These bentos are so cute! My boys have always loved dumplings and so do I. I’m afraid I’ve only purchased the ready made variety but I bet they are so delicious made from scratch. What a fun fun series. Healthy and delicious too. I have been craving dumplings recently and decided I could live on them for the rest of my life. Your bento boxes are absolutely adorable! Your children are so lucky. This bento is terribly cute and I`m terrible jealous! LOL. Too cute! Plus, Gyoza is only of my favorite foods! 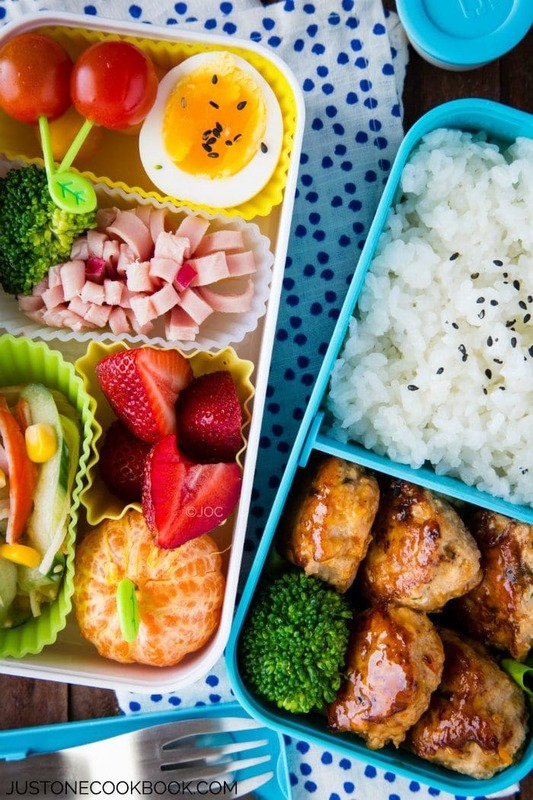 You are seriously, the queen of Bento boxes. The QUEEN!!!! I’ve learnt so much about Japanese food from your blog. OMG!! ooh, everything that is delicious all in one bento 🙂 love, love it. thanks for sharing all your asian inspired goodies, nami! Another beautiful bento box! I buy a huge bag of Gyoza from Costo on a regular basis. For lunch I’ll cook up a few and serve them with marinated cucumbers. Great little lunch. I’ve never seen the Chikuwa Cucumber. At first I thought it was a cucumber roll. I was surprised that it was cucumber inside a fish stick! Sounds so good! Something else to look for at the Asian market. You make bento-making sound so easy Nami! And so pretty and appetizing too. 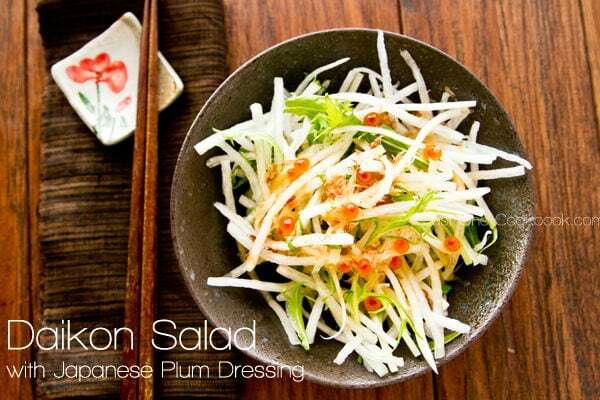 Love the idea of the chikuwa cucumber! U make even the simplest food seems so delicious! My Japanese would order gyoza whenever we’re out & never get sick of it. Lol! Happy bento making! 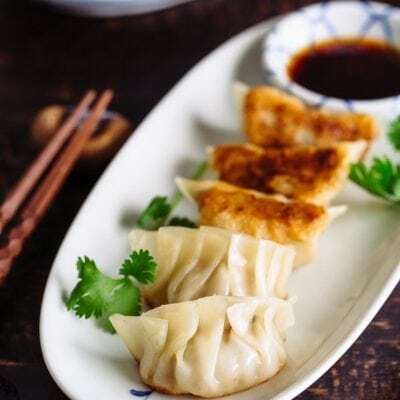 Gyoza or dumplings in Chinese has always been one of my favorite. Like you I don’t mind making the dumplings from scratch at home because it is something that i can never get tired of. 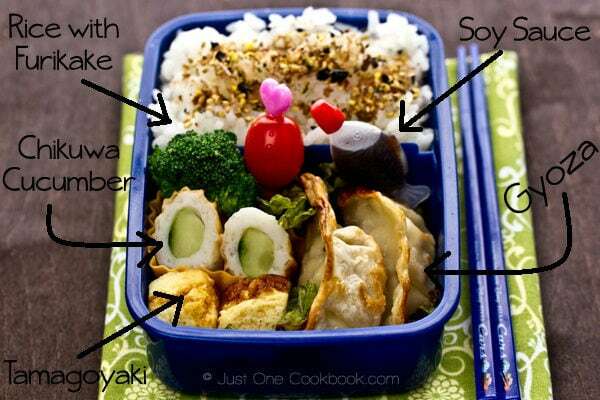 Thanks for sharing this lovely bento box recipe! 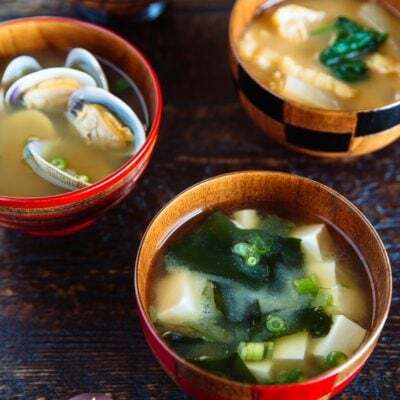 Nami, I wish I was your neighbor and could sit at your feet and learn all these wonderful recipes you post. I’d be a happy taste-tester for anything you’d make! Omg I’d love this for my lunch every day! I’m sorry I haven’t been leaving comments lately. I’ve been so busy. Hope you’re doing well, Nami. Ah Nami! That’s such a cute box. Would love to have something like that for lunch right about now. The gyozas look perfect with that nice brown crust on them. Delish! Nami, you are making a great job with the Bento series. Your kids are so lucky…!!! It’s not just kids that like dumplings – most adults I know like them too! Some of us too much. 😉 Great looking bento. I’ve made gyoza, but it’s been years – I need to do it again. That top photo is so pretty. Good post – thank you. Nami, can you be my mom? 🙂 I would love to have this for lunch! Won tons and potstickers are so popular in our house, we usually don’t have leftovers. All I can say is your son is one lucky boy at lunchtime! I’ll bet everyone is jealous of his bentos! 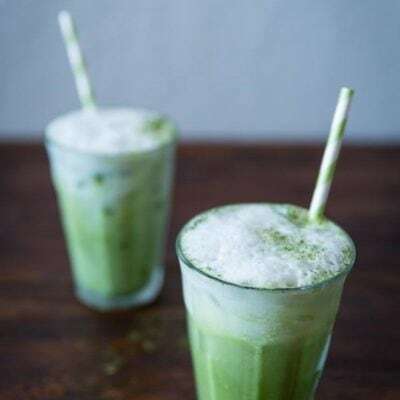 The chikuwa cucumber is a great addition, too. Love this bento series! I am so going to make your Gyoza recipe Nami. I think after Takoyaki, it’s my favourite Japanese appetiser probably because I grew up eating Polish dumplings, and dumplings are really, the best thing in the world! Dear girl, I can see why so many people love your blog. The way you put together your food and your posts is simply inspiring. This bento box looks gorgeous. Part of eating is visual and this box hits the nail on the head. Thank you for sharing! Your son’s friends must love to watch him open his lunchbox. I know I would! What a lovely lunch for anyone! I am really enjoying this series! Keep up the good work, Nami! I find myself excited to see what you have in store for your son’s lunch, hehe. I’m sure your son is also excited to see inside his bento box! I wouldn’t blame him. You make the most delicious bento boxes! I love this bento, Nami! I only wish you’d pack me one too! Wow I want to have that for lunch, definitely kids would love that. 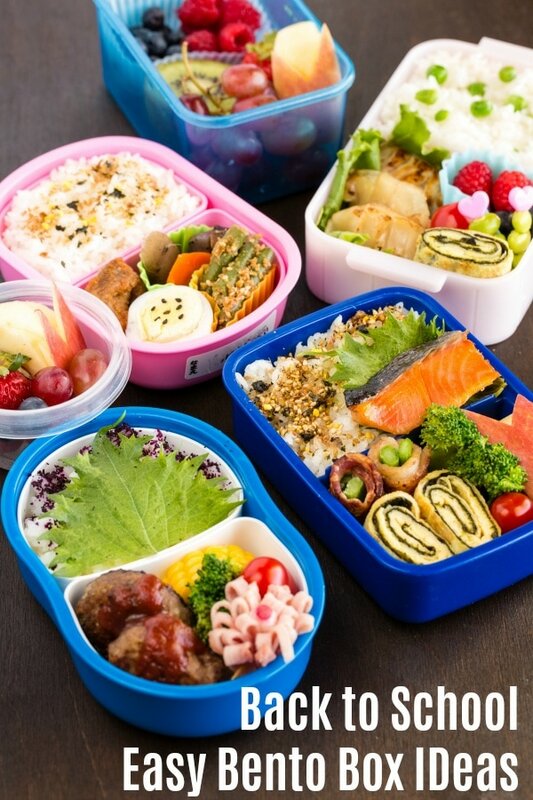 Have to try this one, quick question Nami where can we buy these cute bento sauce containers? or Daiso (Japanese $1 store) – I’m not sure SoCal’s location, but we have two stores up here in SF. I’ll say it again: Your son is a lucky little boy! If you ever need an extra kid to feed, I’m moving in! I’ll be going back to Singapore soon and one stop I’ll have to make will be to go to Daiso to get myself some bento boxes and the awesome Gyoza maker! I’m jealous of your presentation skills as the bento looks so lovely and appetising! This looks nothing short of amazing! I haven’t had a bento box–with or without gyoza in FOREVER! 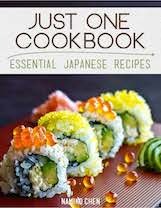 I am going to have to start cooking through your recipes to get us used to some Japanese food before our trip! I would eat this lunch in a second, looks great! Aw so fun. That looks like an excellent lunch bento, your son is so lucky!